Lately I've been re-visiting some of my old blog posts for Throwback Thursday. Today's tale is about Tucker, the original Talking Dogs blogger and it is pretty perfect for Halloween. 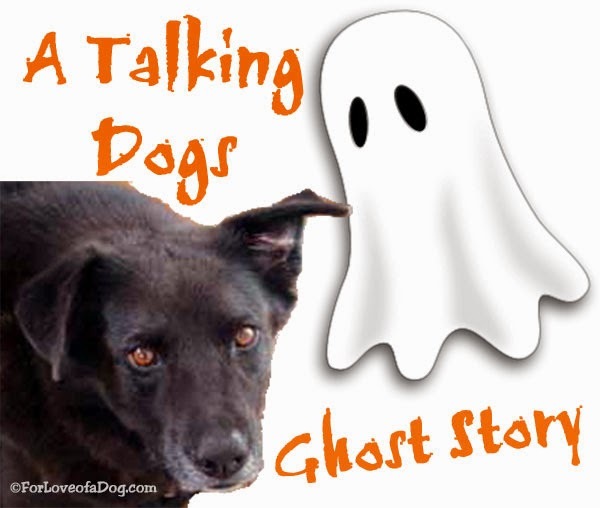 Without further ado, here's A Talking Dogs Ghost Story, originally published for the Monday Mischief blog hop on October 26, 2014. How cool that they'd play with Tucker when they dropped in! You remain in my daily prayers. Take care. It really was cool! lol Thanks so much for the support! That would be a bit creepy. Not sure if we would like that spooky stuff. wowie! that was amazing. Wonder what Tucker could sense? Fun for sure.